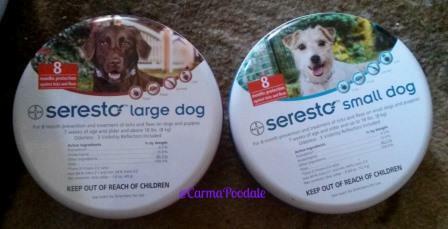 This post is sponsored by Seresto and the BlogPaws Professional Pet Blogger Network. 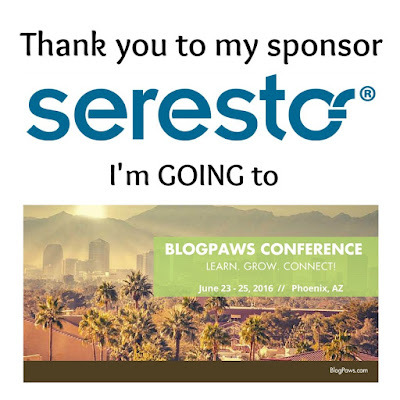 I have been selected as a Sponsored Blogger to attend the BlogPaws 2016 Conference on behalf of Seresto however we only work with brands we love. 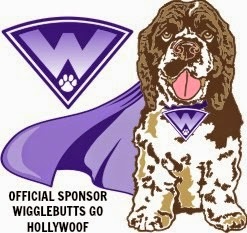 I will be attending my 3rd Blogpaws in Phoenix Arizona!!! During the conference I will be meeting with brands, fellow bloggers, and learning more about how to make blog BETTER! Do you have your favorite flea and tick product?? Whether it is a topical application or a pill that is taken monthly, it is VERY important to make sure that it is used. They can live up to 100 days without a host. Ticks will feed on humans, mammals, reptiles, birds blood. As long as there is blood a tick is not choosy on what source it finds. Most people do not understand that fleas do not live on your pets. They live in your pet's surroundings! The feed and breed on your pet. THEY FEED AND BREED ON YOUR PET! Yes, I repeated it because it is important to know. That is why we LOVE SERESTO collars. The collar gives you up to 8 months protection. If you bath your pet often or they love to swim, you will get more of 6-7 months protection. What is so good about Seresto collars? I have wrote about these collars before. I was one of the first pups to get to try them after they came to the USA. I have the same confidence in Seresto as I did 3 years ago. If it gets my #PoodaleApproved stamp , it has not only made me happy but made ma happy. 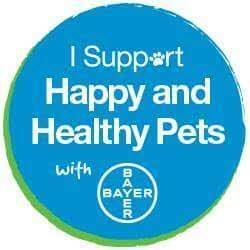 Ma is a pet parent that will put any pet product through the test and if it doesn't pass her approval , we don't use it. It is such a good product that we recommend it to everyone. I know my mamaw has put on all her 8 cats. She got tired of trying to give all the cats their monthly treatments and sometimes the vets offices didn't have enough in stock. Now with Seresto, she puts them on once and she goes all summer without worrying about fleas or ticks. Ticks are bad where she is. 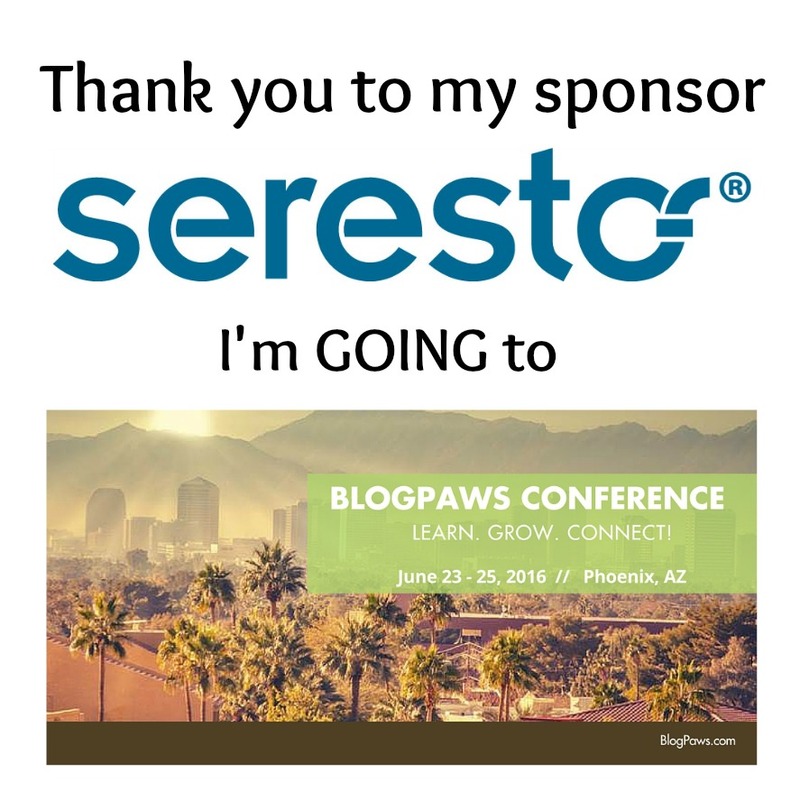 When I was offered to be sponsored by Seresto to go to the Blogpaws conference, I jumped at the chance. It is a product I believe in. What flea/tick preventative do you use?? It is time for me to get a new one. Can't wait to see you again! Will you not be attending this year Caren?? Congrats on going to the conference! Have a great (and safe) trip.